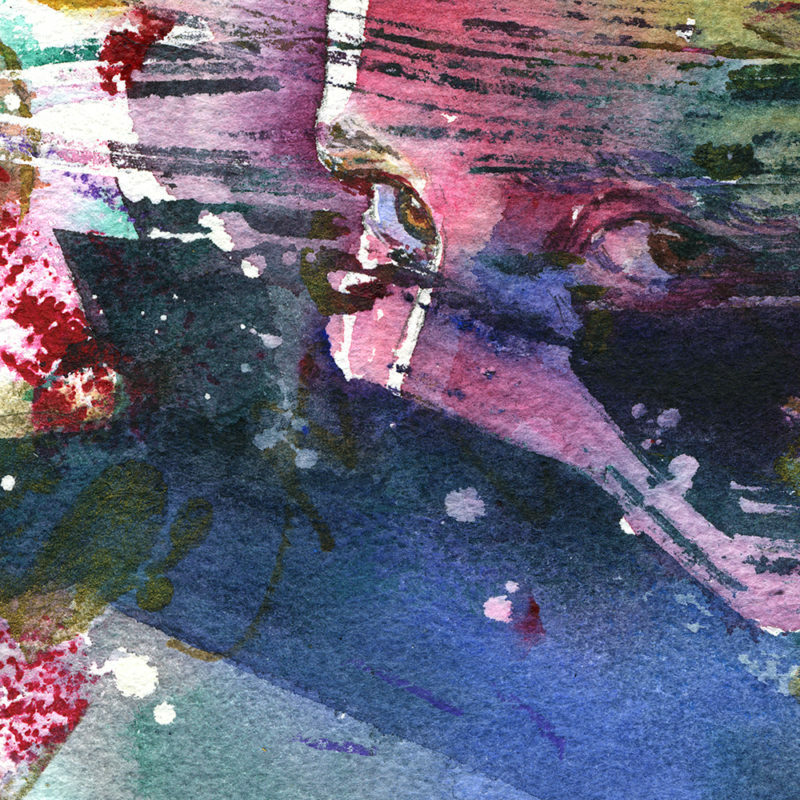 An exploration in combining automatic mark making in mixed media with selected imagery in watercolor. The skull is a perennially appealing symbol throughout art history. Perhaps this piece is a reflection on mortality and the ephemeral nature of life- or deconstructing layers of the physical body and of the psyche? Or maybe, just maybe- skulls are really freakin’ cool. 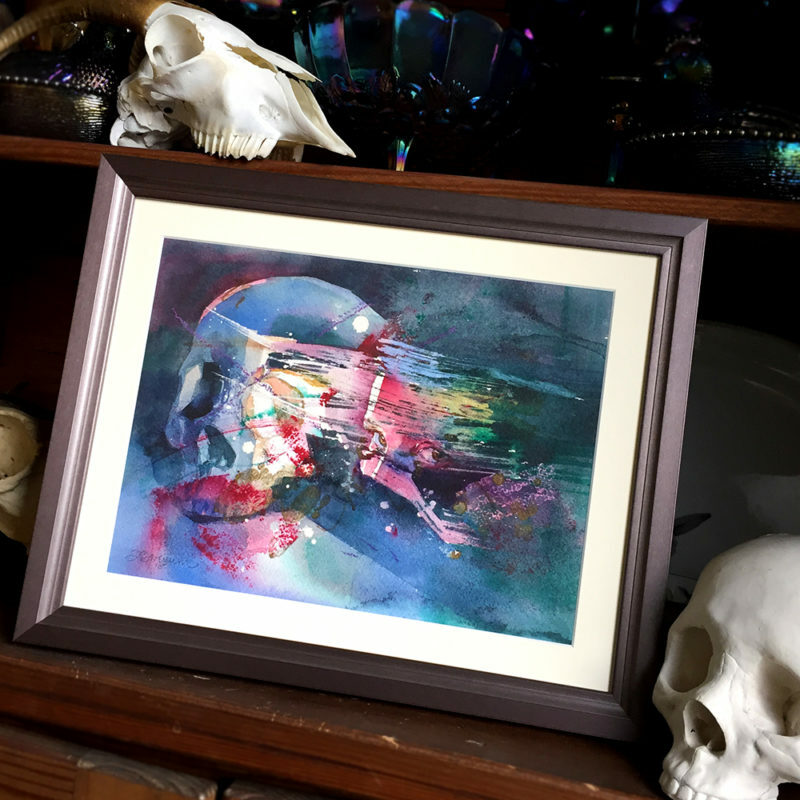 “Out of my Skull II” is a 9″ x 12″ watercolor with mixed media on paper. 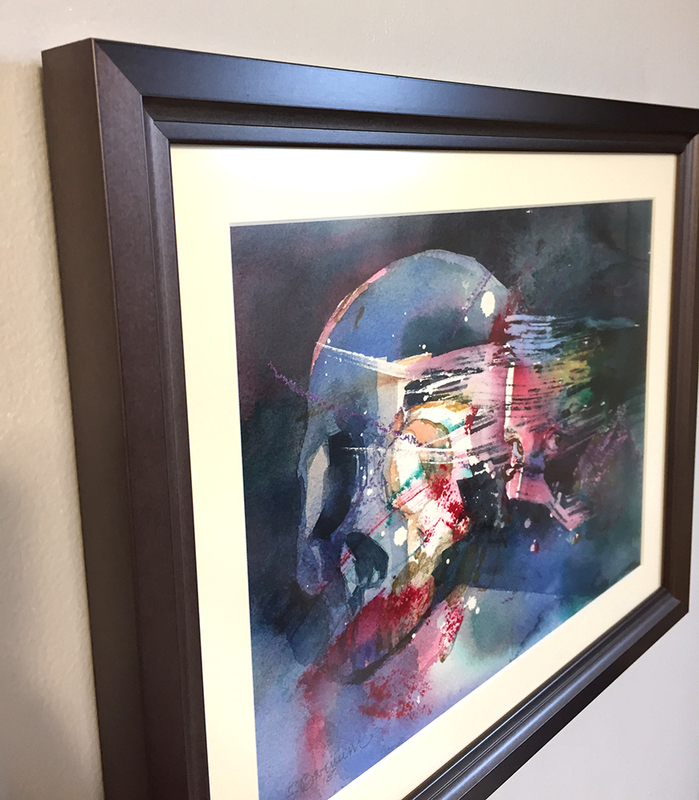 It is offered in a gunmetal finish professional metal frame with non-glare plexiglass, archival mat and backing, ready to hang in your collection. 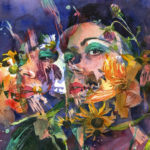 Joanna Barnum is a fine artist and illustrator using watercolor to express universal emotional states and the unique spirits of her portrait subjects, balancing experimental, abstract use of the media with sensitive realism and symbolism. 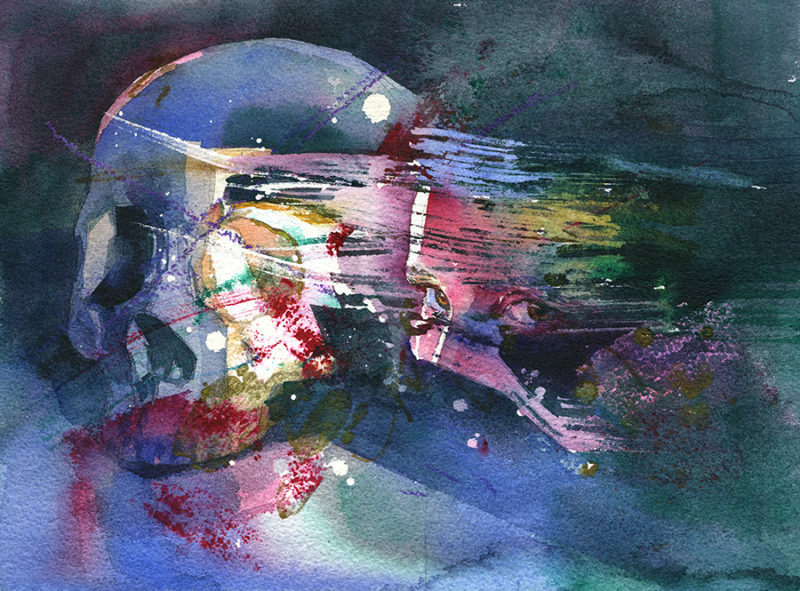 She is based in Abingdon, Maryland and is a Signature Member of the National Watercolor Society.